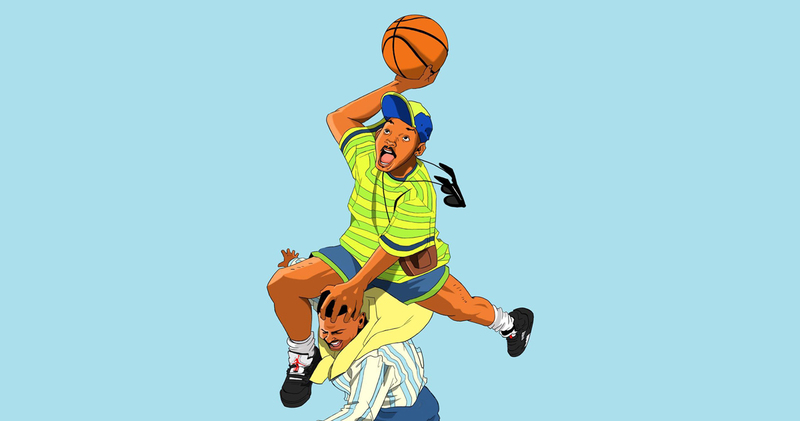 For those of you who don;’t know, today is the big 5-o for Will Smith. And as part of the celebration, Jordan Brand are releasing a special edition Air Jordan 5 that ties in to Will’s big break into the acting scene. For those of y’all who grew up through the 90’s, we were definitely blessed with amazing sports, fashion, hip-hop, T.V. and film. The era became a melting pot which saw these cultures blend into one. One of the T.V. 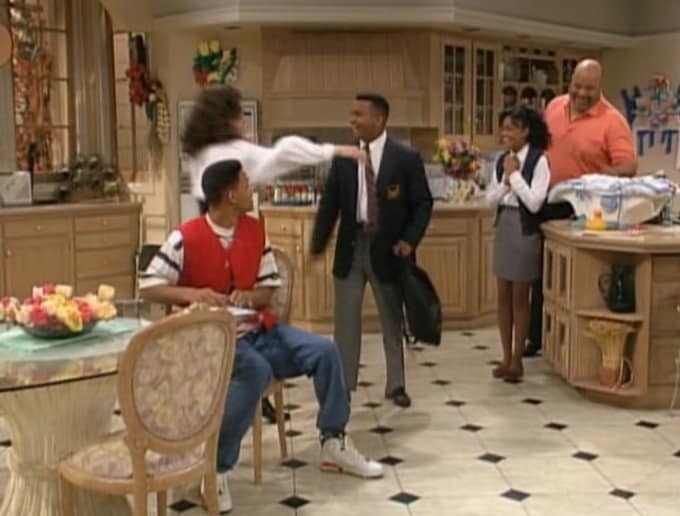 shows that helped this movement along – and one of our all-time favorites – was the Fresh Prince of Bel-Air. If you’ve seen it before, you’ll know Will shared the same passion for Jordans that we all do, hence today’s special edition release. 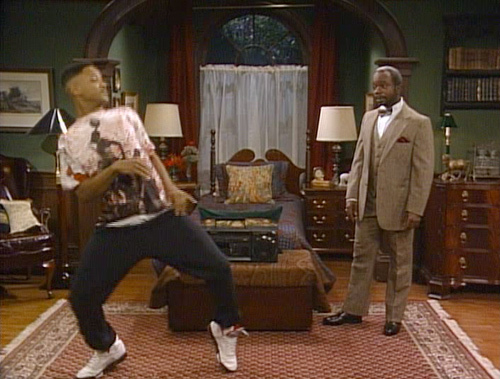 So today, to celebrate Will’s half-century, we’re taking a look back at our Top 9 Jordan Moments from the Fresh Prince of Bel-Air, starting with . . .
Don Cheadle AND Grape 5’s in the same episode? Man, we were blessed. Ice-Trey (Cheadle) came to visit the home-sick Prince and brought him a genuine Philly cheesesteak. Who’s hungry? 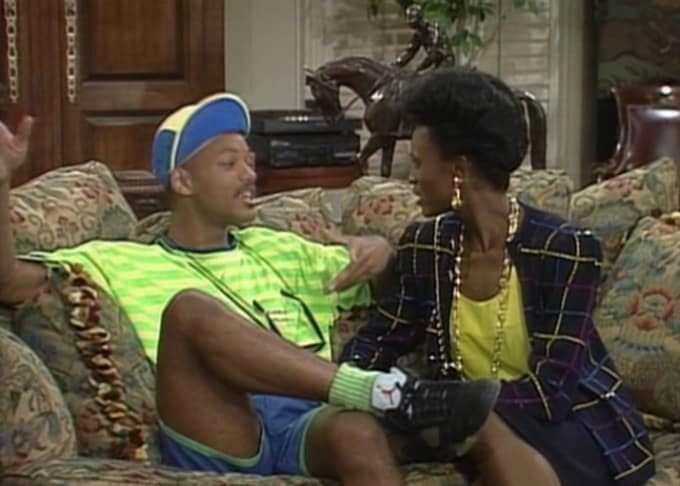 By this stage, Will was pocketing some decent coin per episode – PLUS he gets J’s as part of the wardrobe. . . What a gig. This is one of the two pairs of 7’s he rocks this season, you’ll see the other pop up further down! These OG 5’s popped up in the very first episode – and just like that, us sneakerheads were hooked. 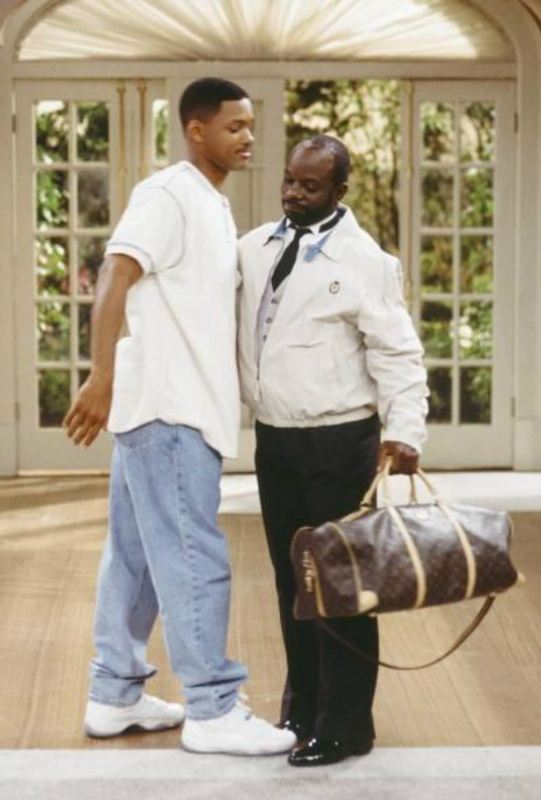 Even with Mike out of the league, his shoes were still prevalent in pop-culture. These were seen in three episodes in season 4 way back in 93/94. 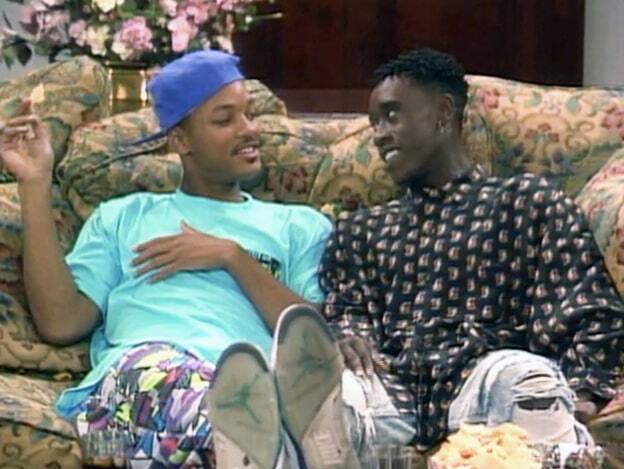 MJ’s first title came in the 6 and it soon became a staple of Will’s Bel-Air get-up. 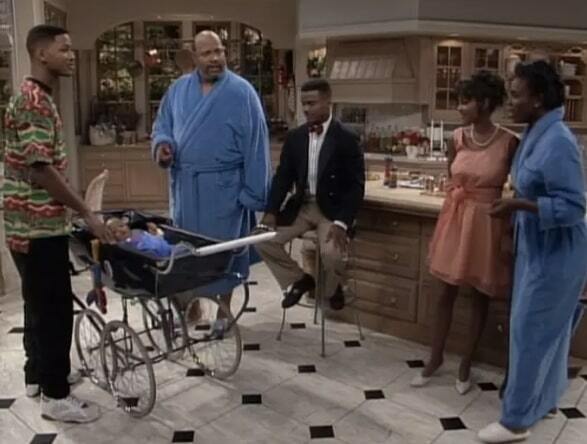 This was also the episode where Will graduated from the Bel-Air Academy. Is there a special sneaker that you graduated in? – for us, Concord 11. The marketing team at Jordan Brand, who teamed up with Warner Bros., ensured the release of the “Hare” was a must-cop. So it’s no surprise that they popped up in the Bank’s household that year. Although the Jordan 11 received mixed reviews, they were so damn hot when they dropped. With MJ rocking these during his MVP performance in the 1996 All-star game in San Antonio, these, along with the Bred’s were must haves for any OG sneakerhead. I don’t think many will argue with this spot in our list. Any pair of Bred Air Jordans will always shoot straight to the top. The only thing about this sneaker, is that it only popped up in one episode. I think that this much heat would have burnt Will’s feet and he had to put these on ice for the rest of the series. What else would be numero uno? The other Jordan 5 that popped up in episode numero uno, the Black Metallic is an absolute classic. This was the first sneaker we saw on the show, and it popped up in another 4 episodes over the next couple of seasons. We couldn’t think of anything more iconic Fresh Prince than this, regardless of what Jordan Brand did for Willie’s 50th this year.